Poor value for money and uncompetitive pricing when compared to other networks. Customer service are unhelpful, dishonest and ineffective. The service is just so poor. It's as though they don't actually want to retain customers. Very slow internet and often speeds capped during evening peak. Prices crept up over the years, even though they were not supposed to. They couldn't offer me anything close to what I wanted (they offered me plans with higher prices and less data, trying to persuade me this was a 'better deal', which was frankly an insult) so I switched and wish I had done so years ago. I would have considered trying to get a refund for being overcharged, but as a previous reviewer mentioned, dealing with EE is a terrible waste of time. Spent 6 months in the UK last year and used an EE Flex SIM. Worked perfectly for me and I could just cancel when I left as there was no contract. Consistently got 4G in the most England and Scotland. Excellent value for money as it worked flawlessly. "Failed Credit Check. What a joke!" I didn’t even join this joke of a company to know it’s ridiculous. They said my credit score is too low, even though I have never missed a bill or contract date and have always been on direct debit. I have more money in my bank than most of their staff. Absolute joke. I have been with EE for many years after switching from O2. Generally, they have been better than the others I have used but they are not without their flaws. Their online account for checking bills etc is unreliable, although the app has gotten better recently. Despite that their service has been the best in terms of coverage so no real complaints as that is what counts. EE delivered a great deal on the iPhone x for me, I couldn't have asked for an easier purchase online and everything was done and dusted without any fuss. I was a bit nervous after reading some of the reviews on EE but honestly, I can't fault them so far with my new iPhone X. Got a great deal on it, the phone arrived promptly the next working day, everything was set up correctly with my contract. No problems here and coverage has been fantastic. "Flex SIM perfect for me"
Took out a new Flex SIM with EE as it didn't require a credit check which I'd have probably failed. But it's just like a contract, pay £10 a month and get all the data I need. Should be getting a 500mb boost next month too. Spot on so far! Recently took out an EE Flex plan which has just launched. Been through a rough period so can't pass a credit check and this SIM card is pre-paid so is perfect for me. I have 10GB to use every month and the cool part is that it rolls over if you don't use it. Very happy so far. EE are absolutely useless. It's impossible to get to speak to anyone either online or on the phone! Everything is automated, the website sends you around in circles, I must have wasted an hour trying to actually find a way to contact them, gave up, switching networks now, sorry! "Happy but need to improve website"
At the end of my contract with a rival company, I decided I was going to give EE a go. I found the website to be dreadfully slow in loading the pages which was frustrating and forced me into calling the sales team. It was pleasing to say that the call centres are UK based and a lovely chap called Chris assisted me with my purchase. I found EE as a company great, but the website whilst great on the eye, was difficult to load as it took an age. Begrudgingly having to call the company and coming away feeling satisfied, I would recommend EE. Just set some time aside if you're ordering from the website. It's snail pace. Hopefully, EE will fix this tiny snag in an otherwise perfect service. Got my iPhone X from EE a few months ago on contract and I've had a perfect experience so far. The phone arrived earlier than expected, the network is never down and my data speed is never throttled even though I stream Netflix quite a lot. They even threw in a free pair of Beats X earphones for me. Personally, I highly recommend them! I have been with EE a number of years now and have been fairly happy. In the early days I did not like them but now with call centers back here in the UK it means that excellent service being delivered. It may take some time to resolve complaints but they do manage to resolve them to a high standard. I moved to EE for their fast 4G internet and on this, they have exceeded themselves. I was pre-warned that not every area can get 4G but I've found that I've not had trouble getting signal, most of the places I've been are covered. I had little trouble understanding what I was signing up too as I bought my plan online, but a quick call to the number provided led me to some really helpful customer service person, who guided me through the process. I was a little disappointed to see they have withdrawn the 2-4-1 cinema tickets deal since I was last with them but that's a minor thing really. I've had a plan with EE for around 3 months now and I am quite satisfied with the overall experience. Choosing a plan and ordering my phone online was simple and straightforward. My phone was shipped out to me and arrived within 2 days, which was sooner than I had expected. The package it was shipped in had some dents on the exterior, but luckily it was well-padded on the inside and my phone was unharmed. When I had a query about my first invoice, their online support was helpful and quick to respond. I had a great experience purchasing my new mobile phone from EE. When I first visited their website, I was overwhelmed with all of the mobile phone options and different plans. I knew that I wanted an iPhone but I wasn't sure which model to choose. Their online support staff was very helpful and friendly, and were able to help me with my selection. Overall a very positive online shopping experience. The largest 4G Network in the UK but are they worth the slightly higher price? We tell you all you need to know about the UK’s largest network operator. EE now has double-speed 4G coverage in two-thirds of the country along with 4G+ (LTE-Advanced) coverage to customers in London. The network also launched Wi-Fi Calling for greater reliability when making calls indoors. In our EE review, we take an in-depth look at everything the network has to offer from coverage through to perks that come with their pay monthly plans. Along with the types of coverage offered and how speeds on EE compare to rival networks. We’ll also look at the list of MVNOs using coverage from EE. 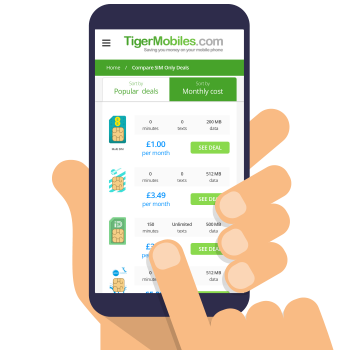 Tiger Mobiles rate EE as the best network in the UK right now even if they are slightly pricier than some of the other network providers out there. If 4G coverage and fast downloads are what you are after then EE is the best choice in 2019. More budget orientated? Instead take a look at giffgaff. EE is part of the ‘Big 4’ networks in the UK who own all their own infrastructure. They were the first provider to launch 4G in 2012 and that first-mover advantage has meant they’re ahead of the rest when it comes to nationwide 4G coverage with a reported 99% of the UK population can now receive EE’s 4G signal. Constant investment also means they’re trying to reach further and further geographically with 4G. It’s their aim to roll out 4G to 95% of the UK meaning those in remote rural areas should be able to receive a signal. But don’t just take EE’s word for it, before you take out an EE deal, we recommend you check the coverage in your area. The best way to do this is to use EE’s online coverage map. Enter your postcode to get an estimate of the service in that area. It’s worth testing all of the places where you spend most of your time. In terms of minimum coverage required, for calling and texting, any type of coverage will be suitable. But for usable internet and for using applications, then you will need at least 3G or 4G coverage. Whilst accurate, the level of coverage shown on EE’s maps is only on a guide based on the best possible conditions. For example, if you live in a basement apartment you might not receive the level of coverage EE is estimating. If you have friends on EE it can be worth testing their SIM card in your phone and seeing what sort of coverage you get. Or you could also request a free PAYG SIM from EE to test. What Types of Coverage Do EE Offer? 2G is the oldest type of mobile network in use today. 2G technology is primarily used for calling and texting but it also allows you to perform some basic browsing (2G is roughly the speed of dial-up internet). Having a strong 2G network is still vitally important: it gives your phone a reliable fall-back for when the 3G and 4G networks aren’t available. 3G does everything 2G can but also lets you browse the internet at download speeds similar to a basic non-fibre broadband connection. If you have a smartphone which most people do, you really need at least 3G coverage in your area. 4G is the newest type of mobile network technology. It offers much faster download speeds compared to it’s older brother 3G. This means you’ll get an experience similar to a fast broadband connection and in many cases, 4G can outperform fixed line speeds using older wiring. Along with standard 4G coverage, EE also has two slightly faster variations. EE’s double-speed 4G service currently has 75% population coverage across the UK. Compared to normal 4G, download speeds are boosted up to 24-30Mbit/s from the standard 12-15Mbit/s. Double-speed 4G is only available on compatible smartphones and with a 4GEE Extra tariff. For customers unlucky enough to be living in London, there is one saving grace. You can get even higher speeds on the 4G+ or LTE-Advanced service. You again need a 4GEE Extra tariff and a compatible smartphone but you can access maximum download speeds of up to 90Mbit/s. If you often use your phone when there is no conventional mobile signal such as underground or in a building with thick walls then EE’s WiFi calling is a great option. Wi-fi calling will also allow you to make and receive phone calls on the London Underground. Instead of using a standard mobile signal for calls, WiFi calling lets you use a WiFi connection instead. You’ll need to join an EE pay monthly contract because EE doesn’t support WiFi calling for their pay as you go customers. You will also need a compatible handset and you can check on the EE website for compatibility. Most modern smartphones allow it so the iPhone X, iPhone 8, Huawei P20 and Samsung Galaxy S9 will all work. Tethering lets you use your smartphone as a portable WiFi hotspot. Your device uses the regular mobile data signal and you can connect other devices like laptops or tablets to the hotspot and share the connection. It’s ideal if you want to get online but there’s no regular WiFi or if you’re not comfortable using public wi-fi. EE allows you to tether on any of their plans: pay monthly or pay as you go. Just remember you can quickly burn through your data allowance when you’re tethering so be prepared to buy an add-on if you run out. EE include roaming as standard across all their pay monthly plans (EE SIM only or phone contracts) and let’s use your allowance across 48 free roaming destinations without paying extra for your regular usage. 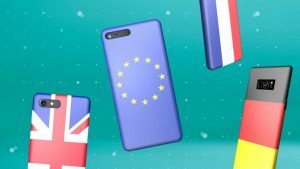 EE also takes things a step further than the minimum EU requirements by offering roaming in 5 other worldwide destinations: Australia, Canada, Mexico, New Zealand and the USA. But this is only available on 4GEE Max plans. In most countries, you will receive 2G and 3G coverage. 4G roaming is currently available in 16 countries: Belgium (on Mobistar), Canada (on Rogers), France (on Orange), Germany (on T-Mobile), Italy (on TIM), Luxembourg (on Orange), Moldova (on Orange), Netherlands (on KPN), Norway (on Telenor), Poland (on Orange), Portugal (on Optimus), Russia (on MTS), Saudi Arabia (on Mobily), Spain (on Orange), Switzerland (on Swisscom) and the United Arab Emirates (on Etisalat). Looking for the best network for worldwide roaming? Consider Three’s ‘Feel at Home’ offering. EE offer 10% off any extra pay monthly deal you add to your account. Alongside that they also let you transfer data as part of their ‘data gifting’ policy. You can move data around each of the plans on your account if someone runs out and someone else has some spare. We’ve reviewed the best mobile phone family plans in depth and whilst EE perform well, BT Mobile (who own EE and therefore use their network) come out on top. Download speeds are tested frequently by a number of independent testing firms. EE tend to perform solidly across the board coming out on top in a number of the latest tests. 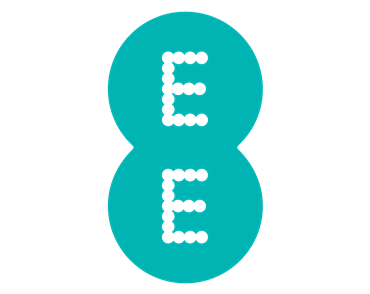 EE also sells network space to several virtual network operators in the UK, including Asda, BT Mobile and Virgin Mobile. 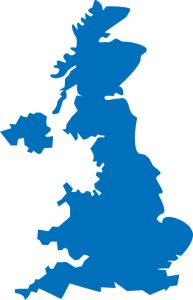 These networks piggyback on EE to provide the coverage for their customers and with the three above all having access to EE 4G’s capabilities. EE has a traffic management policy in place to prevent abuse but it’s not overly strict. The main restriction is the download and upload limit on P2P services for torrenting etc. From 8 am to 2 am, P2P traffic is throttled to 50kbit/s. Outside these hours, P2P traffic is limited to 1.8Mbit/s. EE also block unauthenticated SMTP e-mail servers to reduce their IP’s being used for spam e-mail. As per the latest Ofcom league table, EE receives fewer complaints per 100,000 customers than the average across all providers (2 per 100k compared to 5 per 100k average for the other three networks). Got a question about EE? You can contact us and we’ll do our best to help. Want to leave a review about EE? You can do so at the top of this page and help customers make a more informed choice.